I have been invited to participate in a Marzetti® ambassador program. This post is sponsored by Marzetti and product has been provided by them. The opinions and ideas expressed here are my own. 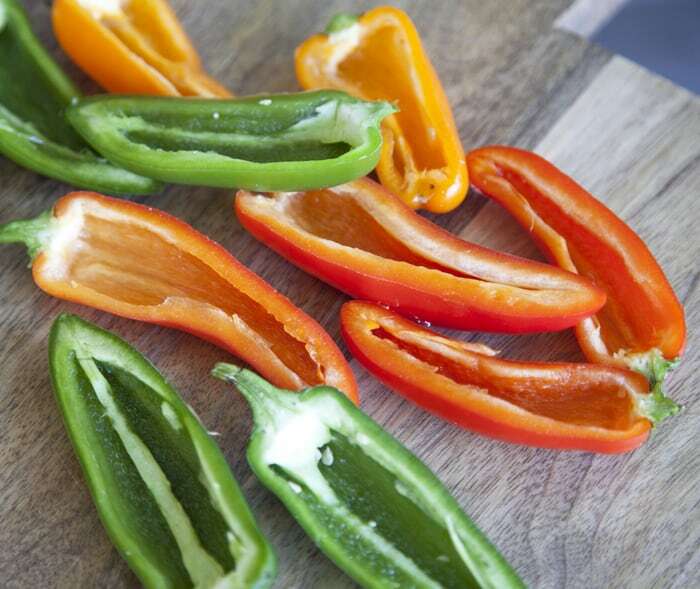 This tasty appetizer is the perfect addition to your Cinco de Mayo fiesta. 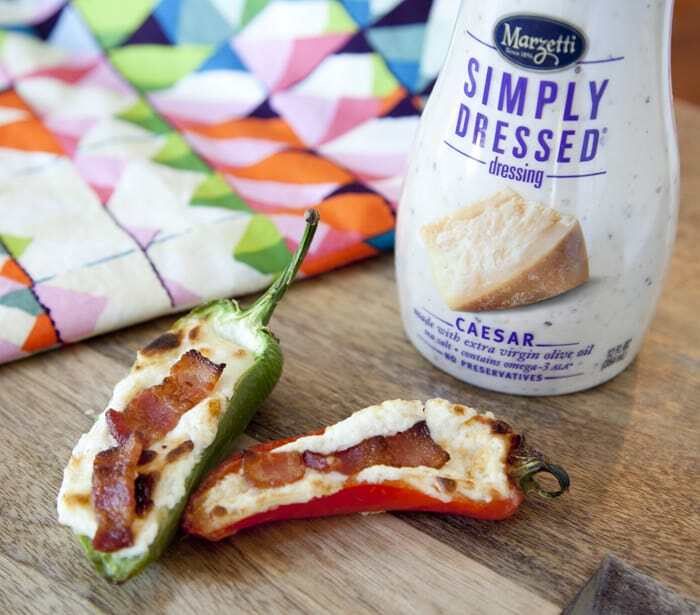 Our recipe mixes in Marzetti® Simply Dressed® Caesar Dressing and is topped with crispy bacon for a twist on the traditional jalapeno popper. 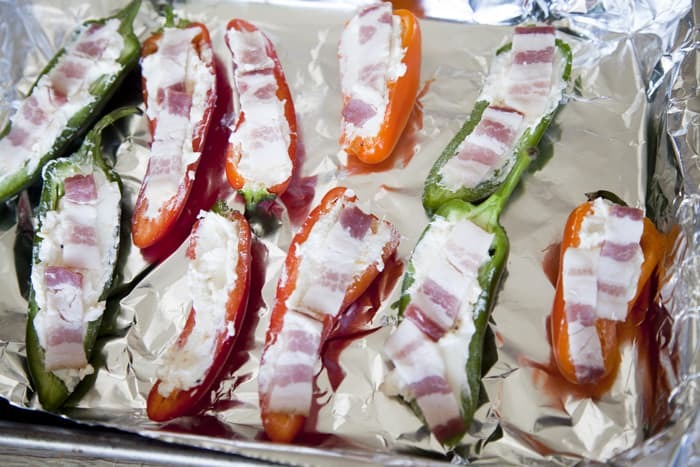 With only 5 ingredients, you can whip this up for a last minute get-together. 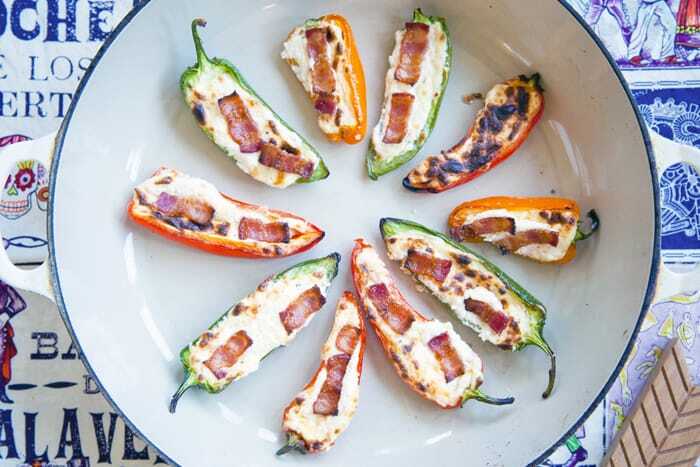 It’s so simple in fact, that we suspect you could even make them after a few margaritas. 7. Serve them up and start making more, they go fast! Thanks to my friends Casey and Jenn for the inspiration! 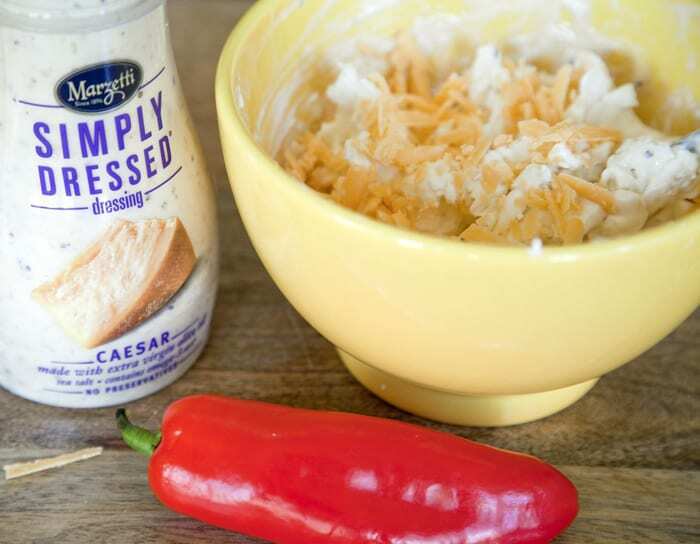 For more recipe ideas from Marzetti, enter the Marzetti Recipe Exchange! 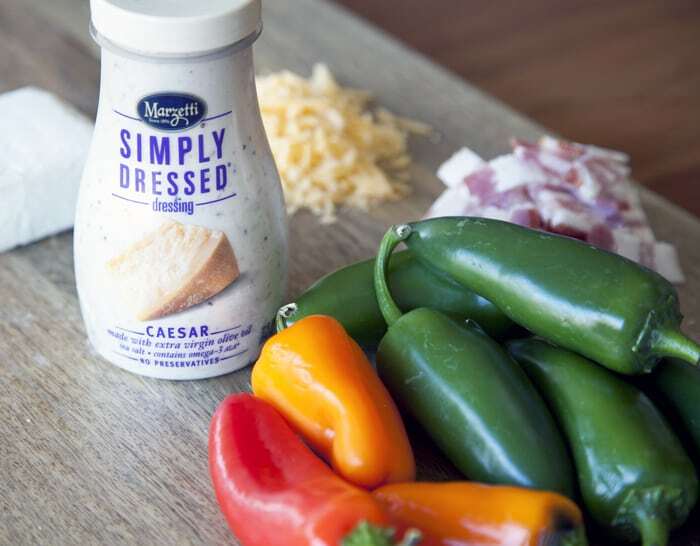 Pin your favorite recipes with inspiration from their board for your chance to win one of four $250 gift cards and coupons from Marzetti.